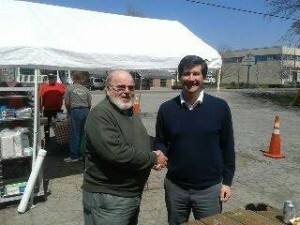 County Executive Mark Poloncarz visted the Exhibit Center last week. After a tour of our memorabilia, Mr. Poloncarz enjoyed one of our famous hot dogs. Thanks for stopping and having a picture taken with President James Kavanaugh!